When the Karabagh movement started in 1988, Ishkhanyan was also at the forefront of the national issues that were attached to the claims for Karabagh, and particularly the status of the Armenian language in Armenia. He also wrote extensively about political issues, including Armenian-Turkish relations ( The Law of Excluding the Third Force, 1991). He became the editor of “Lousavorich,” a newspaper entirely published in traditional orthography. Two books on his views on Armenian origins were finally published in 1988 ( Questions on the Origin and Earliest History of the Armenian People ) and 1989 ( Armenian Native Words and Earliest Loanwords ). In the 1980s he had serialized a history of the Armenian people for children and teenagers, Armenian Illustrated History, of which the first volume appeared in 1990 (two more volumes would be posthumously published in 1997 and 2004). He published a total of forty books in his life and countless articles. 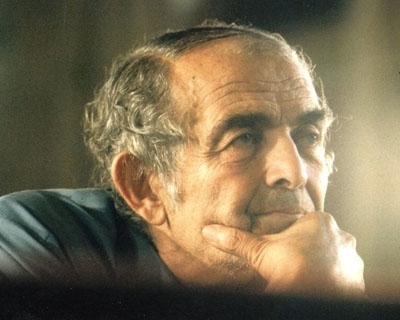 In 1991 Ishkhanyan was elected a deputy to the Supreme Council (the forerunner to the National Assembly) of Armenia and designated director of the National Library of Armenia. He passed away on February 6, 1995, in Yerevan. The school No. 153 of the Armenian capital now bears his name.